This is a three-bedroom home with open plan lounge/dining, galley kitchen and timber floors. Street appeal is pleasant with a front undercover patio/verandah. From the verandah you enter a large light filled lounge room which has air conditioning and timber floors. Off the lounge area is the dining room which can combine as one living space. Your kitchen is a galley style with generous cupboard space and open benches. From the kitchen is access to the laundry area and the back door with side access to the backyard. 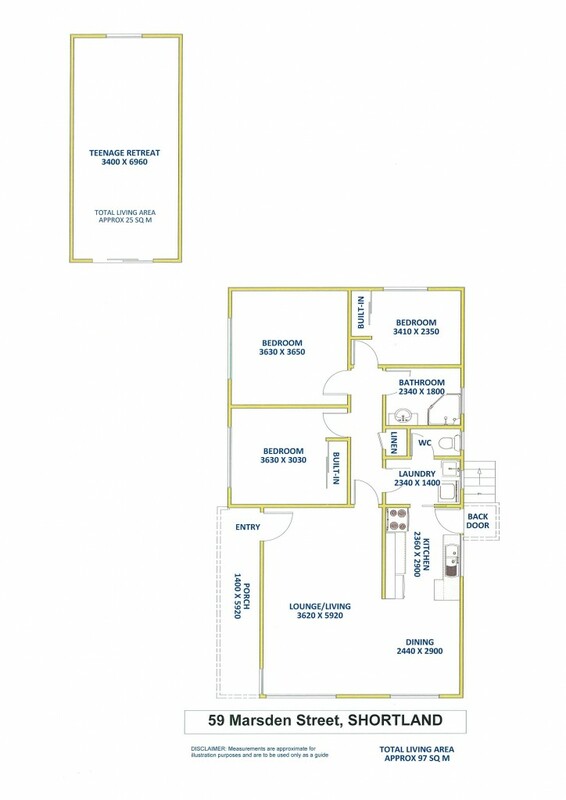 All three bedrooms are a good size with the master bedroom having a large floor to ceiling built-in wardrobe. Bedroom two also has a built-in wardrobe with bedroom three encompassing the rural views. The bathroom is central to the bedrooms with a full-size bath with overhead shower. There is a fully lined external room with glass sliding door that could double as a teenage retreat or be made into a lockup garage. The home is on a 720m2 block with a large fenced backyard with extensive rural views conveying that country feel with the convenience of metropolitan living.